VietNamNet Bridge - In 2014, the Department of Molecular Biology and Clinical Institute of Tropical Medicine under the Army Hospital 108 discovered a method to detect the MERS-CoV virus in medical waste. The testing method gives answers within 3-4 hours with absolute accuracy. The Army Hospital 108 was the second medical center in Vietnam that can diagnose and detect MERS-CoV, the virus causing the Middle East Respiratory Syndrome (MERS). The first was the Central Hospital for Tropical Diseases. 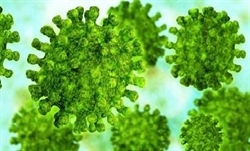 Researchers say MERS-CoV, or MERS coronavirus, can be transmitted many different ways, from camel, or bat to human, from human to human. It has a high mortality rate. The clinical features of MERS have similarities with SARS (Severe acute respiratory syndrome). EVA (the European Virus Archive) is believed to be the first organization which can standardize the method, allowing it to diagnose quickly and accurately. As MERS-CoV is a new type of virus, the most important organizations in the world such as WHO (World Health Organization) and CDC (Centers for Disease Control and Prevention) still have not made any detailed recommendation on a specific experimental method at molecular level for this type of virus. The Army Hospital 108 decided to implement the method suggested by EVA with EVA’s cooperation. EVA provided two segments ofRibonucleic acid (RNA) encrypting a part of the MERS-CoV genome which was subdivided by Dr Moh Ali Zaki, an Egyptian virologist, from bronchia tubes of an Egyptian patient. The two target genes were important materials to search and identify the genetic regulation of the dangerous type of virus. The scientists found that the genome of MERS-CoV contains 30.119 nucleotides which play a very important role in metabolism, genetic signaling; it contains 10 open reading frames (ORF). An ORF is a continuous stretch of DNA beginning with a start codon, usually methionine (ATG), and ending with a stop codon. The scientists designed two primers - SHPT108@MERS-CoV-L and SHPT108@MERS-CoV-S – and then put both into the two zones of HCoV-EMC/2012 virus. With the decoding, they found the gene sequence has nearly absolute homology with the design and gene sequence of MERS-CoV which is being kept at NCBI. After many experiments, they are sure that SHPT108@MERS-CoV-L primer can find if medical waste samples are infected with MERS-CoV within 3-4 hours. The success of Bach Mai and Army Hospital 108 in designing the process of diagnosing and detecting MERS-CoV has been hailed a great medical achievement in Vietnam.